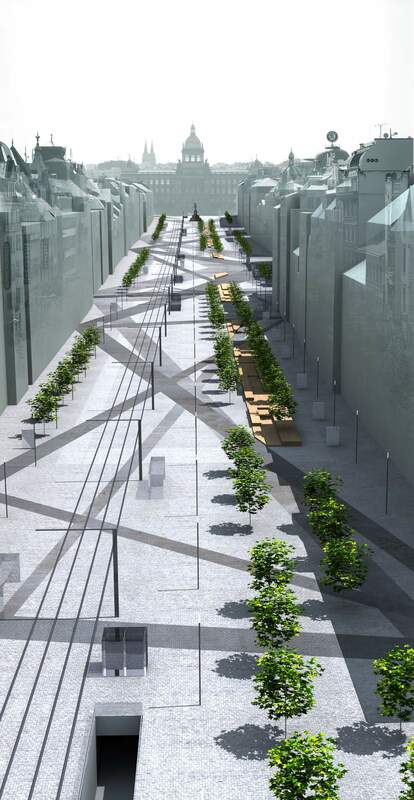 Wenceslas square – a space of the new age. The square is unique for its scale, geometry, proportion. It attracts technologies of the information era. A line in the city interior – a magnet for people, data, information. Two layers, two approaches. 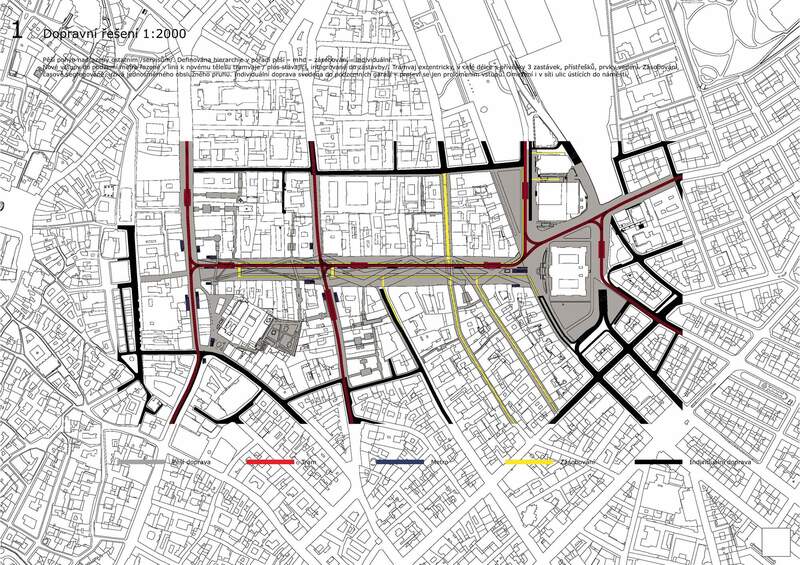 First, set by the state (buildings, passages, streets) – a web of tracks. Second, defined by order, traffic, follows the square axis – functional strips. Layering of the two in 2D, intersection in 3D.